Children of the Junior Department had a very different mathematics lesson this month. A teacher from Techniquest came to present a show about Robert Recorde, the Welshman from Tenby who devised the equals (=) sign. 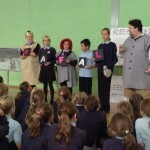 The children had a busy time solving problems, and by solving a problem, won a letter. 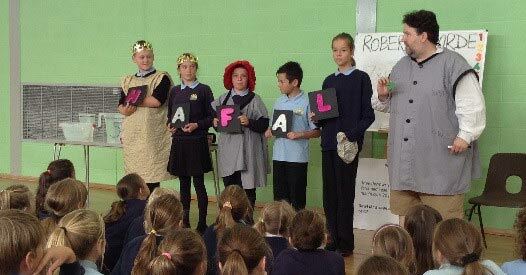 At the end of the show, the letters were seen to spell out the word ‘HAFAL’.